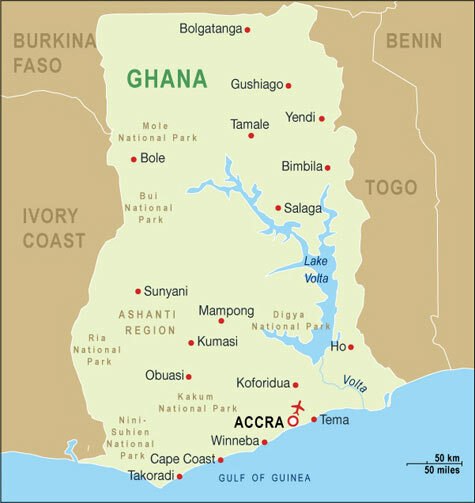 Northern Ghana, as well as much of northern Africa, is undergoing major and rapid deforestation. This is resulting in major losses of biodiversity, which if continued will damage their ecosystem and forcibly change the way people live in north Africa. One facet of Ghanaian culture and industry is the production of Adinkra ink, which is then used to make Adinkra cloth. The cloth and ink have significant cultural values. Adinkra is the notation for the traditional symbols of the Asante people in Ghana, which represents different meanings and certain believes or proverbs. The adinkra ink, or called “adinkra aduru”, “adinkra medicine”, is the special “pigment” that Ghanaian uses to stamp the adinkras onto clothes, fences, bottles, etc. To make this ink, however, is an extensive process, which requires significant energy resources (80+ gallons of water must be boiled down to less than one gallon). For this, native ink producers use large quantities of firewood, further compounding the issue of deforestation. The adinkra ink is made from the bark of the Badie tree (Bridellia Ferrungia). The ink producers shave off the bark using the machetes and then soak the bark into water to soft it. And then, boil the softened bark for days and days to produce the adinkra ink. Massive woods were used in this process for boiling, causing the lose of an considerable amount of trees everyday across the country, which raises up the problem of water and soil erosion and possibly desertification in the future. To learn more about the Adinkra grapher, please visit http://csdt.rpi.edu/african/adinkra/index.html.